Gooding & Company, the acclaimed auction house that is universally lauded for possessing some of the most distinguished collector cars in the world, has officially announced the latest list of car consignments that will be auctioned off at the Amelia Island Auction on March 9. The cars, ranging from a 1955 Porsche 550 to a 1951 Ferrari 212 Inter Coupe, are all part of an extraordinary list of valuable pieces of automotive history, all of which will have their respective turns crossing the auction block. Responsible for fielding these cars and getting them prepped for auction is Gooding & Company and their respective team of specialists, all of whom are responsible for picking out the most attractive collectible classics and presenting them to an enthusiastic community of collectors. “Before every auction is finalized, the specialists and I take a good look at what the market is receptive to and what hasn’t been offered lately to gauge what else we should consider presenting to the collecting community,” said David Gooding, President and founder of Gooding & Company. Check out some of the classic vehicles that will be auctioned off at the Amelia Island Concours after the jump. 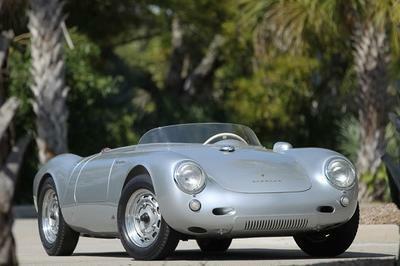 This 1955 Porsche 550 - Chassis: 550-0062/ Engine installed: P90546/ original unrestored engine no. : P90066 - is considered one of the most genuine 550s that still exist in the world today. It comes with a well-documented provenance and restoration job, as well as the original and unrestored matching-numbers engine and the original owner’s manual, MSO and comprehensive history file. Should you be interested in this piece of Porsche history, you better be prepared to shell out anywhere between $2.2 - $2.6 million. This 1967 Porsche 906E was once a participant at the 12 Hours of Sebring while also notching five overall victories and six class wins a number of racing exploits under its belt, including the 1967 USRRC Under Two Liter championship, having won the title with Otto Zipper and Scooter Patrick serving as drivers. It’s only one of four models in existence that carries the long-nose, short-tail configuration and was beautifully restored to fit into the specifications of its championship-winning driver, Otto Zipper. 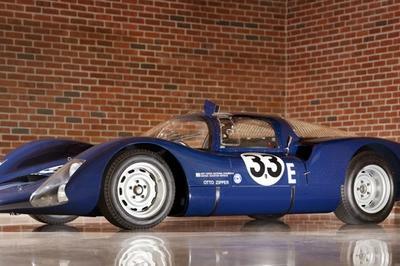 The estimated price for this piece of Porsche racing history? $1 - $1.25 million. It’s not a Ferrari 250 GTO, but it’s still one Prancing Horse that commands an auction price with lots of zeroes on it. 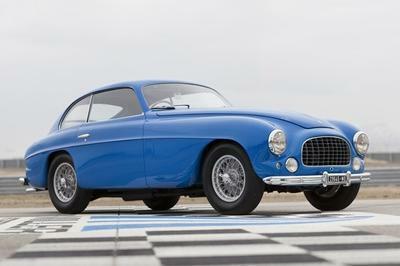 This 1951 Ferrari 212 Inter Coupe - Chassis no. 0143 E/ engine no. 0143 E - was once the property of veteran racer Mike Hawthorn, which he used as a practice car at the 153 Mille Miglia and was once test driven in the September 1953 issue of Motor Sport Magazine. The elegant touring coachwork on the car comes with the original light-blue livery, keeping the car’s original Ferrari Classiche-certified significance attached to it. Making this car even more interesting is that it’s gone the route of a number of Concours events, including Cavallino, the Pebble Beach Concours d’Elegance and the Amelia Island Concours d’Elegance. Anybody willing to fork over an exorbitant sum of money will be happy to know that the auction price for this classic Ferrari falls somewhere around $1.3 - $1.6 million. 1960 Chevrolet Corvette “Race Rat"
This car may not fetch the same amount of money as its contemporaries, but it’s still historically significant enough to have some high-end value. This 1960 Chevrolet Corvette "Race Rat" was dutifully restored by Corvette specialists, keeping its history intact as one of the most competitive race cars in its era, including winning 1st in Class at the 1960 12 Hours of Sebring. 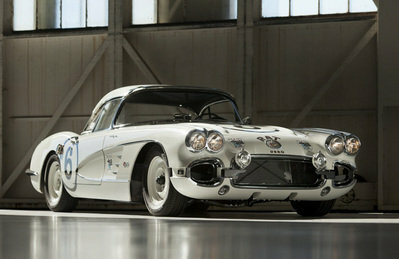 The car is one of only 10 1960 Big-Tank production Corvettes and was once owned by George Reed, proprietor of RRR Motors. It also won the 2009 NCRS Heritage award and comes with an impressive file of documentation, as well as being eligible for leading historic events, tours and Corvette gatherings. We said it wasn’t as expensive as the other cars on this list. 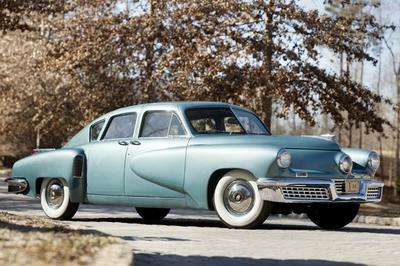 But with an estimated auction price of $450,000 - $550,000, it still fetches more than just a pretty penny. Here’s a car that a lot of the younger generation can appreciate: a rare, street-legal Porsche 959, considered one of the finest super cars of its time. 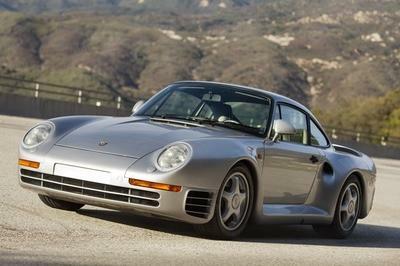 Despite being more than 20 years old, this 959 still offers exceptional performance and road manners with low mileage on its odometer. As one of only 284 models ever built and the fact that it comes with a Canepa Design Phase II Upgrade, this 1988 Porsche 959 - VIN: WP0ZZZ95ZJS900153 - is a true must-grab for any Porsche enthusiast who can spare anywhere between $400,000 - $500,000. I guess the one who bids for it is actually selling it again on eBay. I just do not know what to do with these cars if ever I was one to win them. Wouldn’t you drive a flashier car? Amelia Island Concours surely has collected a lot; I’m intrigued if the auction gave them a higher money value than the original prices. Was this successful? I’m curious if people who bid for these just kept them displayed once again. Wow, there sure are still people who like those vintage cars. Anyway, they’re considered valuable pieces of history, so I expect collectors flocking this auction. Although this is amazing and creates opportunities for automotive fanatics to bid and win these cars, I guess it’s not for me. Most of these cars are really vintage ones. In my honest opinion, these revealed cars don’t appear really attractive but well there may be true fanatics out there. I will be waiting for the full list to be revealed; I wish I have the money to participate in auctions. For now I’ll just observe.